When you think about Liverpool’s most important players your mind tends to head straight towards Virgil van Dijk and Mohamed Salah, perhaps even Alisson and Andrew Robertson. However, one man who has been absolutely key for the Reds this season is Georginio Wijnaldum. 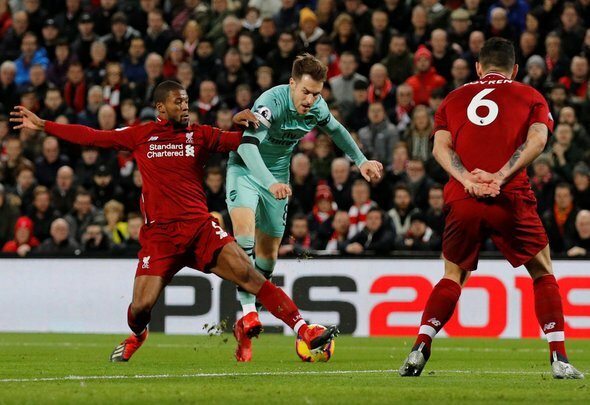 However, the Dutch international has missed two of the last three games for Jurgen Klopp’s team, and his absence was felt particularly keenly in the draw with West Ham United on Monday. Luckily for Klopp, then, the 28-year-old is now back in the mix. Sky Sports reported on Friday that Wijnaldum is back in training and in contention to face Bournemouth on Saturday. That’s massive news for Liverpool. Yes, he’s only missed a couple of games recently, but the team have looked a little ropey without him. Particularly against the Hammers, there simply wasn’t enough drive or creativity in central midfield. Wijnaldum provides that. He has been amongst the finest midfielders in the Premier League this campaign and undoubtedly Liverpool’s best in the middle of the park. With Fabinho anchoring the midfield from a defensive standpoint, Wijnaldum is the man to provide the link between the defence and attack. Jordan Henderson and James Milner can be too passive at times, whereas the Dutchman is always looking to make things happen. Adam Lallana showed signs of life against the Hammers, but Naby Keita very much didn’t. Wijnaldum should slot in for the Guinea international against Bournemouth, providing the guile and industry that the former RB Leipzig man couldn’t against West Ham. There’s no doubt that Wijnaldum is one of the most important players in this Liverpool squad, and that will likely be shown by his swift return to the starting line up against the Cherries. It can’t come soon enough, and it could be just the thing to propel the Reds to a title triumph.